Best Left Bent... Yep! They are 3 piece punk rock'n’roll band based on Waiheke. Zebra Fight on boogie bass. 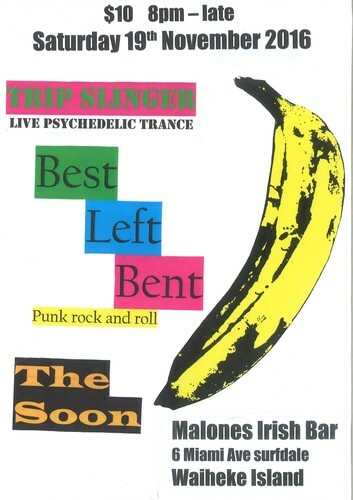 Plus the soon (scuzzy garage rock) and Trip Slinger (live psychedelic trance).